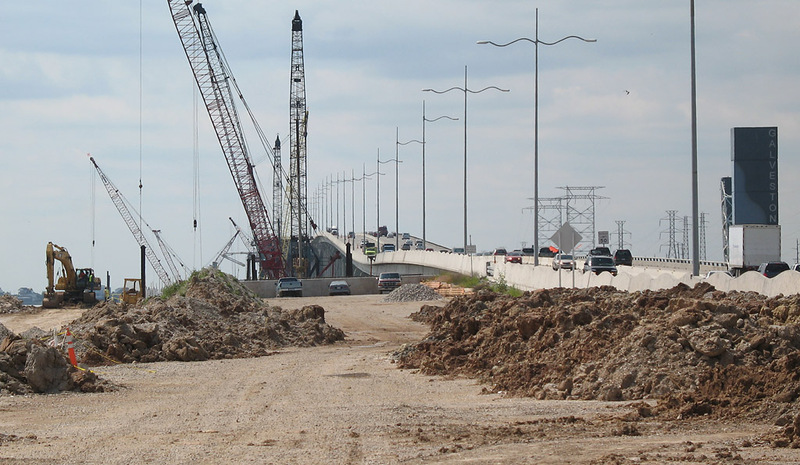 Work is proceeding on the construction of the southbound high-level span. Demolition work continues on both of the original spans. Looking southeast on the mainland side. We can see that demolition of the original southbound structure is progressing toward the mainland. 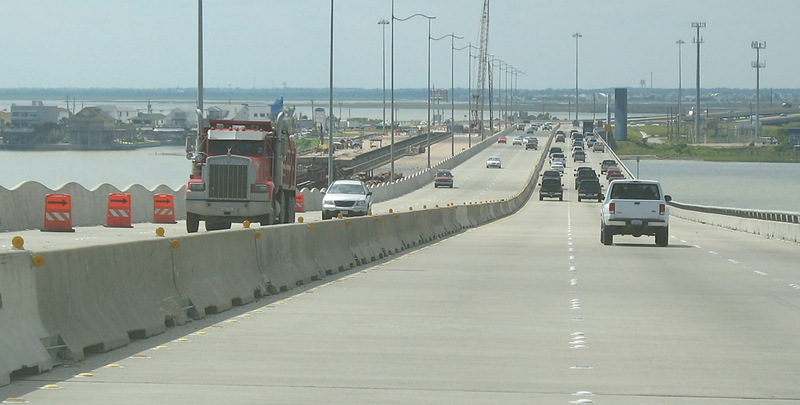 The original northbound structure is still intact to the intracoastal waterway crossing. 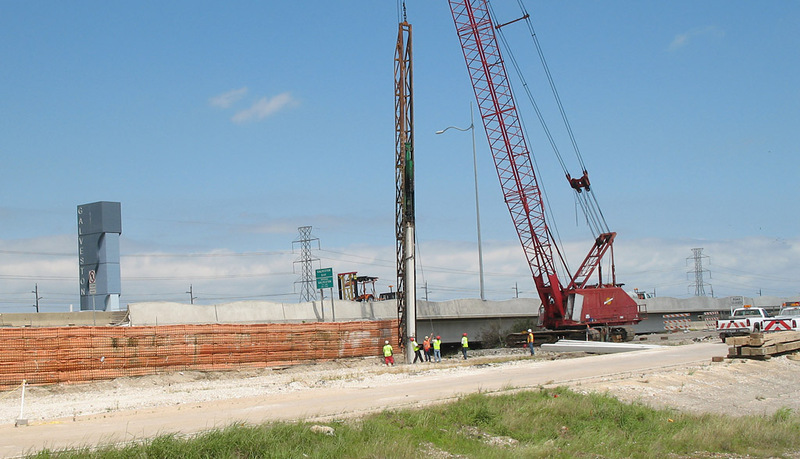 Crews were driving a pile for the abutment on the future southbound span. Looking at the Intracoastal crossing from the mainland. We can see that the concrete box girder structure is just getting started on the piers. A wider view from the same perspective as the above image. 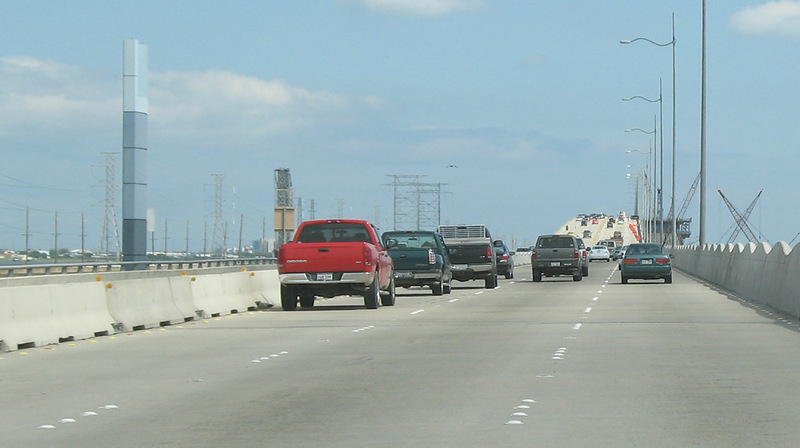 Driving southbound at the start of the bridge on the mainland side. All traffic is on the completed northbound structure. The end of the bridge on the Galveston side. This is the original pavement of the southbound main lanes on the island. 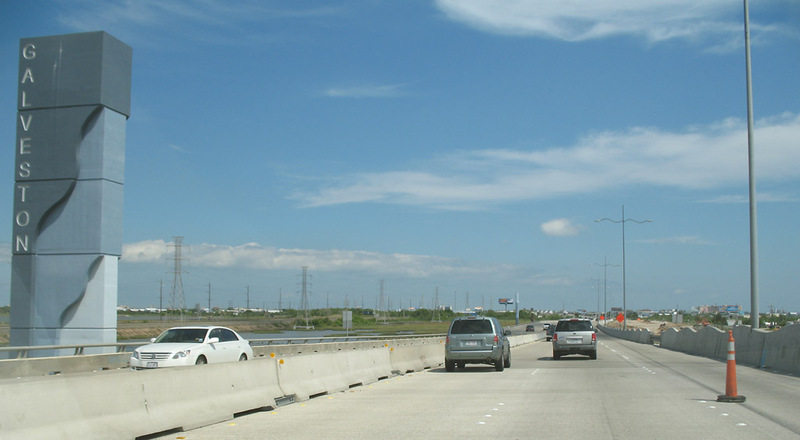 Looking northwest on the location of the future southbound lanes.